So far Furutech definitely displays a distinctive house sound. 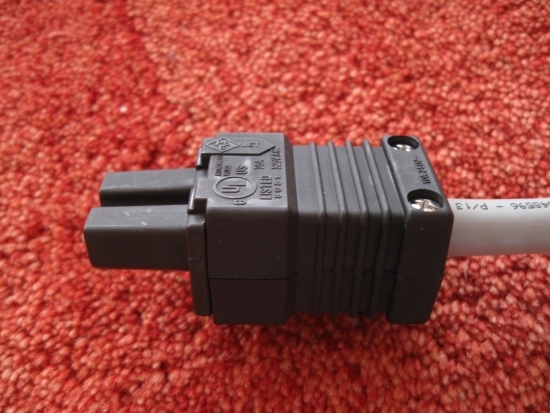 I’ve heard it with various of their connectors, both IEC and schuko, both inlets and outlets. 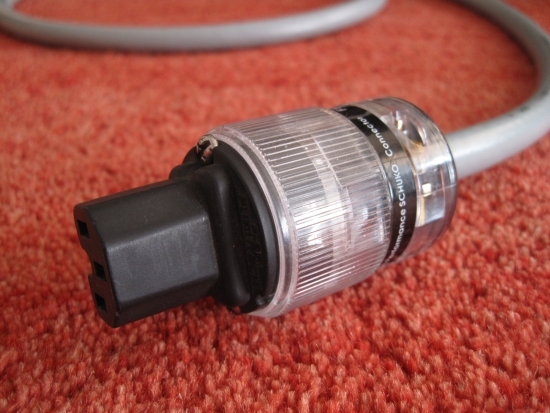 When a friend was looking for the perfect IEC connector for his Wadia 861, I thought it time to put the brand’s most popular connectors against each other, and use a IeGO IEC connector for reference. This review is a follow up of the Furutech FI-25 and FI-E35 Gold and Rhodium power connectors review. This test, although quite objective, is also tailored to one sitation: that of a friend with a Wadia 861 CD player and a very revealing system. He needs a Lapp cable to smooth things a little, and as Furutech connectors tend to provide some more smoothness than most, for him this brand seemed like a good choice. But which connector would be ideal? The affordable FI15 or the almost highend FI25? And should it be Gold or Rhodium? All that was clear on beforehand was that a Lapp cable with IeGO connectors on both ends was a little too much for his system and made the sound very powerful but also a little dry in the treble. Of course the 861 is a little dry itself, and lacking some treble air. But the cable had to compensate for this. 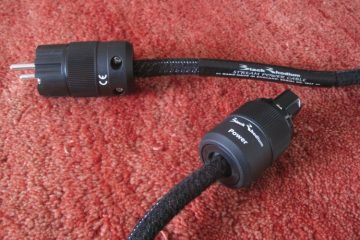 We had previously already determined that schuko’s make even more of a difference than IEC’s, and the Furutech schuko variants we tried were too much of a good thing: very smooth and fluid but lacking dynamics and attack. 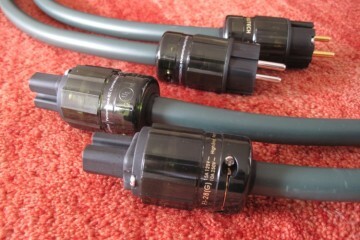 Therefore we decided on an IeGO schuko, so that at least at the beginning of the chain, all power was transferred. 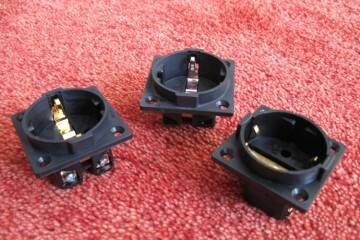 All connectors were compared using the same Lapp 191CY 7G1.5 powercable from the same batch, all with IeGO 8085 gold schuko, and compared directly on a Wadia 861 CD player. 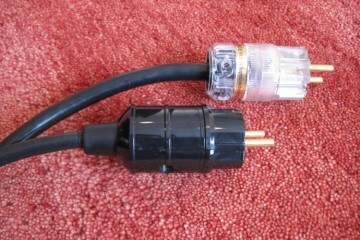 On above picture the FI25 is shown on an Alpha3 cable, but for this test it was actually used with a Lapp cable. The FI25G (Gold plated) sounds fuller than its rhodium counterpart, the FI25R, with fuller bass and more dynamics, and more colour. Its treble is excellent, if a little less extremely fluid and silky as the FI25R, and also a little drier, although on balance it cannot be called dry at all. It is just that most rhodium plated products tend to sound extra-silky, making the gold plated connector sound rougher by comparison. The IeGO IEC is more dyanamic still and also has better bass: deeper, more powerful and more articulate. Both IeGO and Furu FI25G have excellent midrange, with the Furu being more refined and colorful and the IeGO being more acoustic and sounding more like live music. 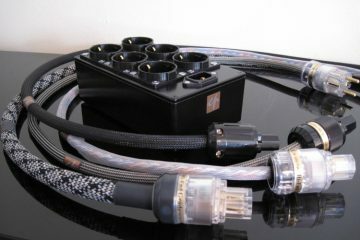 With this cable, the FI25G’s articulate nature can however turn into a too-precise bass, disgracing lesser recordings. Strangely the IeGO only sounds dry in the treble by comparison, not in the bass, in spite of its highly articulate character, but it seems that its fulness and drive makes up for it, where the FL25G can sound slightly analytical. 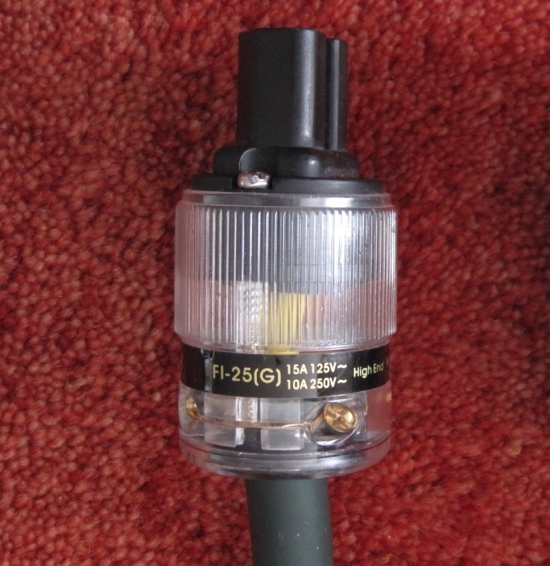 The FI25R is more velvety, and airier in the treble than its gold plated counterpart, the FI25G. Its refinement can be revelatory, making almost any other connector sound brash and incontinuous. Yet it isn’t all glorious because the velvety continuousness also makes for a less positive impression in terms of macro dynamics and PRAT. The whole presentation seems to play with less variance in loudness, making the natural dynamics seem reduced. The Gold plated variant doesn’t have this character, instead sounding sunny and positive, even if it lacks the Rhodium version’s utter resolution. Once you’re past the astonishment of its smoothness, you start to get restless and yearn for some power and attack. The FI15G sounds somehow less colorful than the more expensive FI25G, but still basically very nice. It is fluid, fairly colorful, smooth and livelier than both the basic FL15R and dearer FI25R connectors, even if the FI25R has better defined bass, more fulness and body. 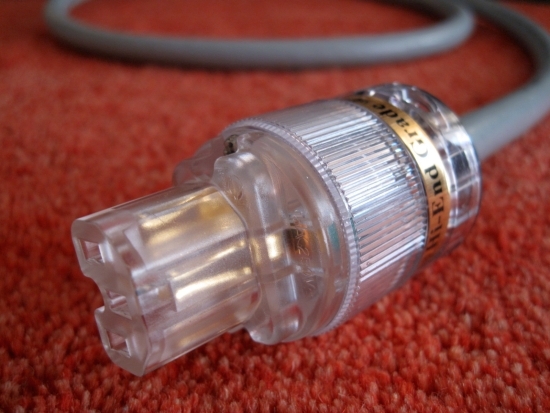 Compared to its basic rhodium counterpart, the FI15R, the gold version has the same benefits as the dearer FL25 gold connector has over its rhodium counterpart: again the rhodium version is more fluid and refined in the treble, but also sounds less enthusiastic, less colorful, less engaging. The gold version sounds fuller, the bass is more real and voluptuous, voices sound more bedded in, more organic and real and the whole is emotionally more engaging. Switching between FI15G and FI25G, it is obvious that the dearer connector is more highend, sounding fuller and more complete, but it can also be slightly less forgiving, with its slightly drier treble and higher precision. In essence the better connector, but just like the IeGO’s you can go too far in some setups and the cheaper FI15G can sound more forgiving, in spite of its lesser qualities otherwise. Sometimes some forgiveness is good! The FI15R has the same kind of super-silky and continuous treble as the dearer FI25R but can’t match its fulness and body, instead sounding a little gray and lacking color. The FI15R’s bass is also thinner that that of the FI15G, but it seems more rhythmic and less blurry. Sometimes this can make the FI15R sound more dynamic/rhythmic than the FI15G, but in the big balance, listening to various tracks, the preference is more for the gold version. 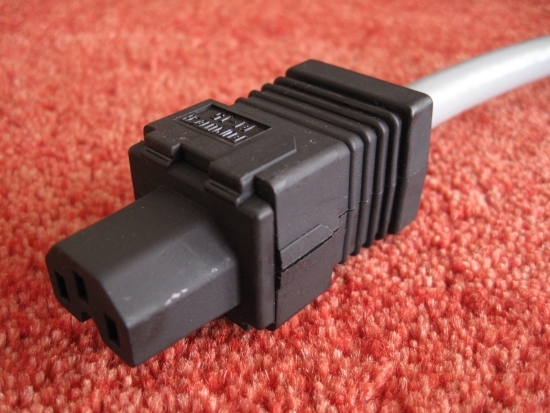 I’ve already written a lot about the IeGO connectors and for regular readers it won’t come as a surprise to hear that these have been my favorite connectors for a long time. They sound lively, dynamic, rhythmic, highly detailed, colorful and at the same time highly neutral. They almost always work well, in many setups and with many components. It won’t come as a surprise either that I find Furutech to have a certain house sound that must fit the system and taste. For me the products often sounds a little restrained, in spite of their highly articulate character and super-fluid highs. However, audio is always about balance, and no one brand is perfect for everybody. Most of my friends’ systems benefit of using IeGO’s in the system. Too much however is never good, of any brand. Use too many Furutechs in a smooth system and you’ll wonder why your music sounds less engaging, less lively than it did using even standard connectors. Conversely, use too many IeGO’s in an already lively and open system, and your bass can become overwhelming and treble too strict, too dry. I find that sometimes the best balance is achieved by using a mixture of brands. In my case, and that of the friend whose system we used for this test, using an IeGO schuko and Furutech IEC proved the best match. In general I think by now it is pretty safe to state that rhodium, on Furutech connectors at least, adds a velvety refinement and a coherent contiuousness that can make all other connectors sound rough and brash. At the same time rhodium invariably makes for a less enthusiastic sound, with rather too much control. Also rhodium seems to take away some natural color and organicness. What it doesn’t do however is sound brash, bright or too shiny. It’s important to note the importance of synergy. 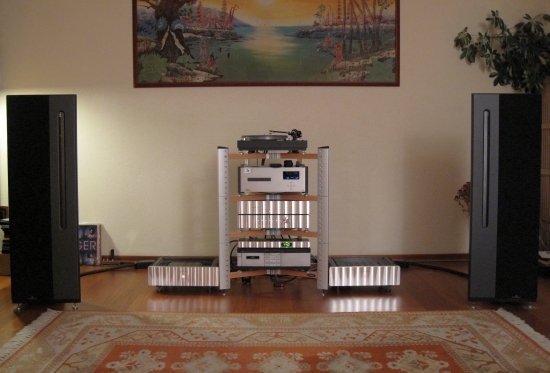 This goes for the components that make up a hifi system, as well as for the components that make up a cable. 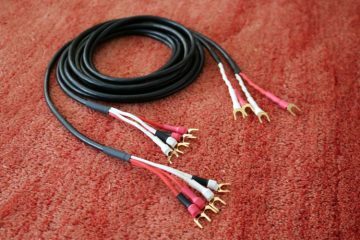 I should also mention a special synergy going on between the speakers in my system and fuller/more dynamic sounding cables and connectors. Nevertheless the general conclusion of IeGOs sounding powerful and colourful and Furutechs refined and airy I believe is valid in every system. If you want all of FI25G’s fluidity and most of its color, but want to pay less, and get a more forgiving sound as a bonus. If you value refinement and rhythm above all but don’t want to spend too much. If you want to end up between the FL25G’s fulness and the FL15R’s refinement. 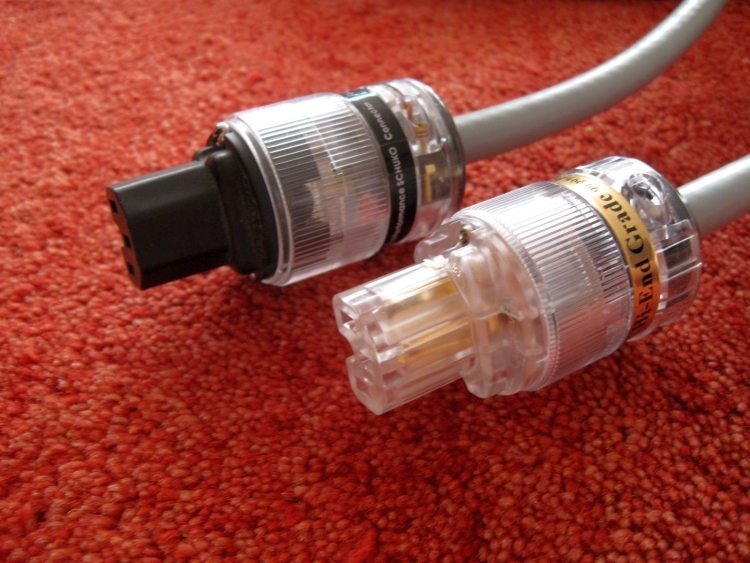 However in spite of its obvious benefits, both JW and I seem to prefer Gold plated connectors in our systems. It’s all relative! 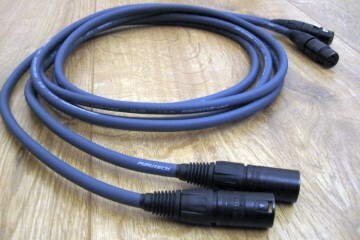 After a lot more experimentation it is undeniable that Furutech connectors work much better on Furutech cable than on Lapp cable. 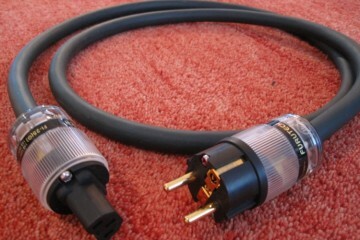 Especially the Alpha 3 cable has a special synergy with the FI25/FI-E35 gold connectors. IeGO connectors, for all their colourful dynamic bravour and bass power, can with some systems also tip over to the other side and can start to sound muddled and too fulsome, obscuring subtle details in the process. Loved reading about ALL your connector comparisons. Would be very interested to see the results if you threw some SILVER plated plugs into the mix!!! 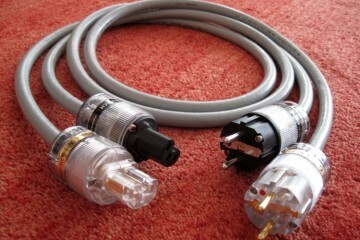 Hi John, I have tried a few Silver Plated connectors but so far they’re never the ones I prefer. This is no doubt also personal, but that’s why I’ve stuck with gold and rhodium lately. But who knows, I might try silver plates ones again some time. 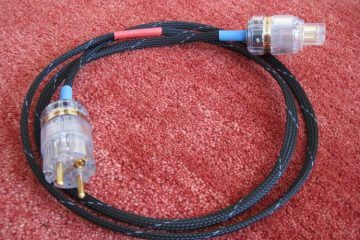 Just been reading your articles on IeGO and Lapp connectors and power cables, but I was unsure of which model of Lapp power cable you use and suggest. 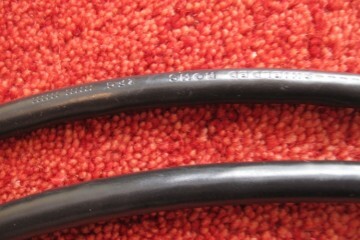 Could you please tell me which Lapp cable you are referring to? I would like to try it! That was the 191CY 7G 1.5. I’ve now also added this to the article. I used 1,2,3 for hot, 4,5,6 for cold and the remaining earth wire for earth. Do note that this may not be an officially approved method, as following regulations for some countries, the earth conductor needs to be the same size as the others. Thanks. I’ll give this a go. Proving very hard to find anywhere in stock! Try Conrad. Otherwise I may have some new and unused meters left.